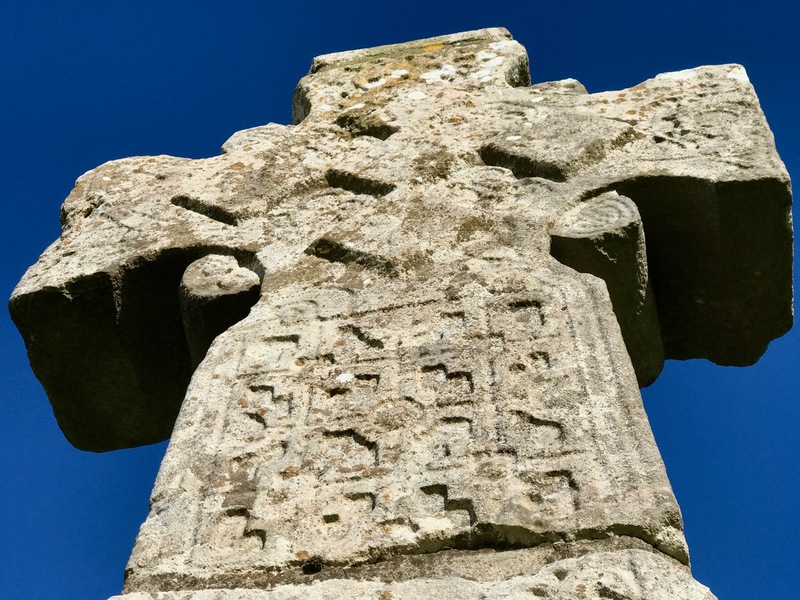 This post will introduce you to one of the most exciting aspects of our architectural heritage – the building style known as Romanesque, which in Ireland became the dominant form in the 12th Century. 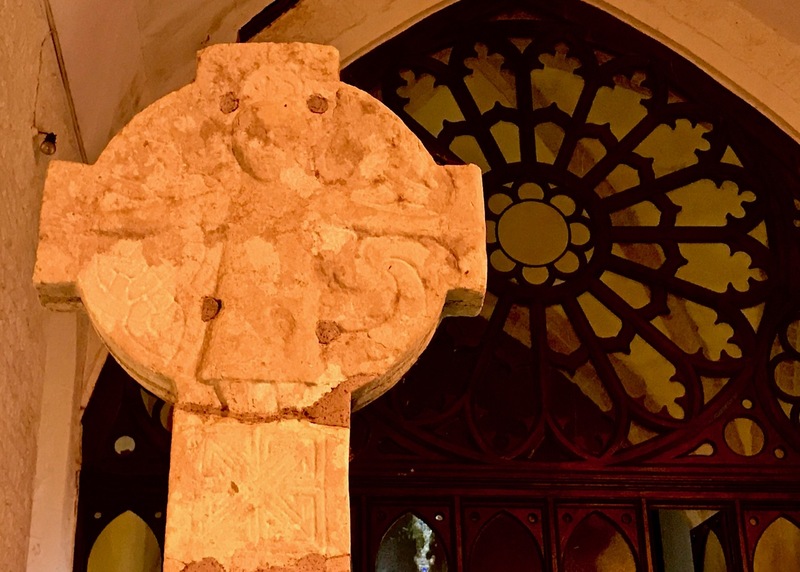 Characterised by flamboyant doorways and elaborate carvings, it replaced an earlier and much plainer indigenous Irish church-building form of which few unmodified traces remain. 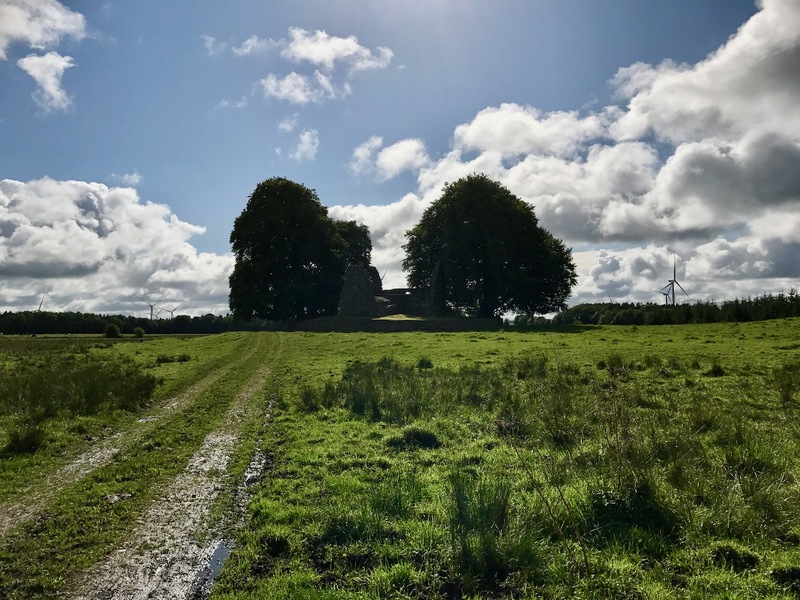 Most churches in the Early Christian (or Early Medieval) era in Ireland were probably built of wood, although some early stone examples survive, such as the one Robert wrote about in his post Molaga of the Bees. Defining characteristics of these churches were their relative plainness – one rectangular space, often quite small, with a linteled portal, one or two small windows, projecting antae, and finials atop the gables. 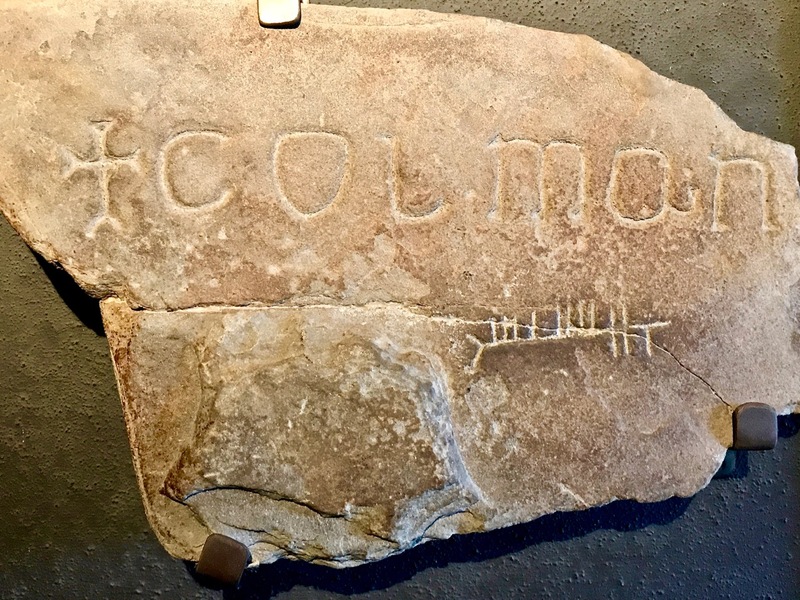 Besides Molaga’s Bed, we have seen several of these early churches on our travels – last year at Oughtmama when we spent a day with Susan Byron (see Susan’s Burren) in Clare, and earlier this year when we stopped off the M8 to visit the churches at Liathmore. This week we saw two more, one at Ardfert and another at Kilmalkedar, both in Kerry. (Robert also writes about Kilmalkedar this week, although concentrating on other aspects). However, in each case, the native form has been modified by the influence of the Romanesque style. Romanesque was the pan-European architectural style of the 11th century. More than just a construction method, it was an ideological movement. After a period known generally as the Dark Ages in Europe, the renaissance of scholarship and art in the 11th century harkened back to the idea of the antique Christian culture, with all the construction and engineering skills of the Romans. As in every era, the elite wished to associate themselves with this and Romanesque architecture gained popularity for great buildings such as cathedrals and castles. This was a period when people, especially clergy, from all over Europe travelled to great pilgrimage sites such as Compostela or Rome and this helped to spread ideas within the Christian world. In Europe the Romanesque style was well established by the mid 1000s and flourished until it was gradually replace by Gothic beginning in the mid-12th century. It took longer to reach Ireland, and didn’t really become the dominant church-building style until the 12th century. In Ireland the simple rectangular stone-built early medieval churches with their antae, linteled entrances and finialed gables were gradually replaced or modified starting in the mid 1000’s. Romanesque churches become nave-and-chancel buildings rather than one rectangular room. The chancel is separated from the nave by a rounded arch, and windows have similar arched tops and are deeply splayed on the inside, often asymmetrically. The doorway is in the west wall (on the opposite side to the chancel and the altar) and is now arched rather than linteled. The walls of the nave may have blind arcading. There is clear evidence that they were painted – a few vestigial examples survive in Ireland. The roof are sometimes stone, and may contain attic-type spaces. 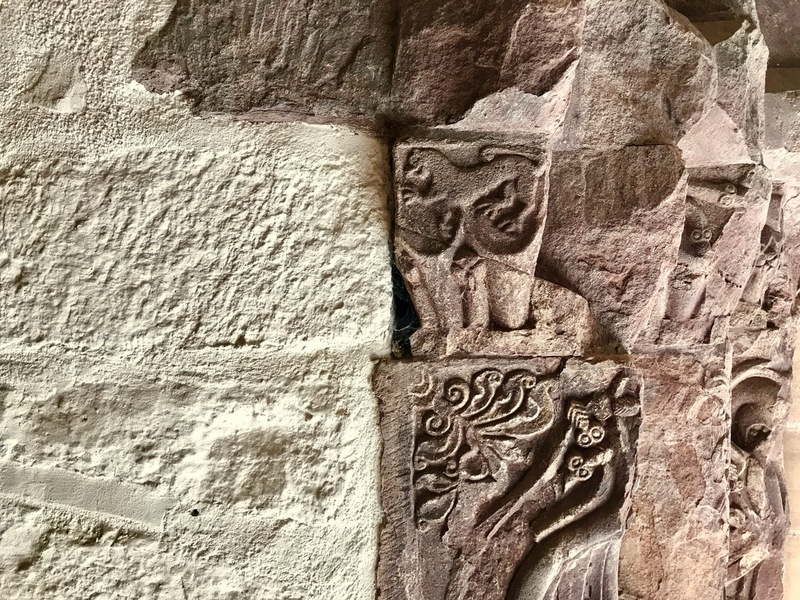 But the real glory of the Romanesque building style, and what makes it so attractive for visitors are the carvings – a feature that is curiously absent from the Early Medieval church forms that preceded the Romanesque. 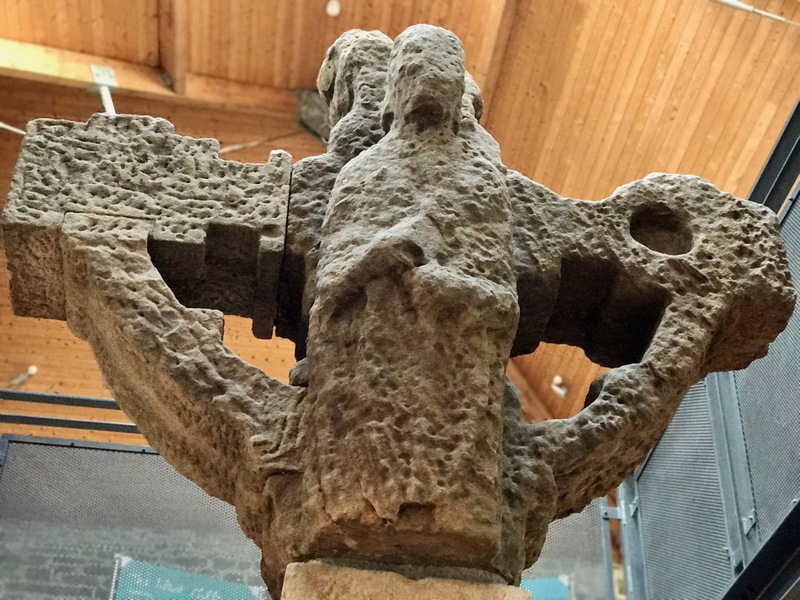 (I say ‘curiously’ because other forms of stone carving, such as our wonderful high crosses, are well known from pre-Romanesque contexts in Ireland, as well as decorative metalwork and manuscripts.) 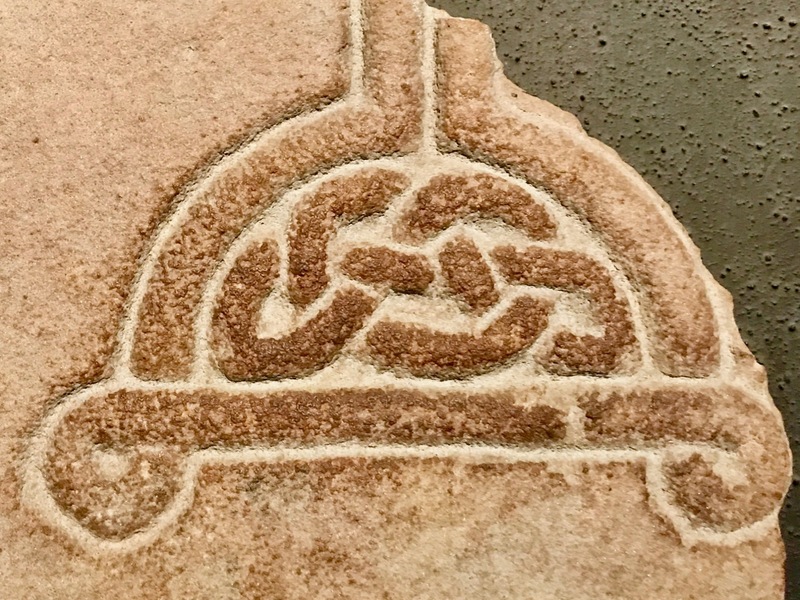 Doorways, chancel arches and window surrounds are often carved with a variety of floral and geometric motifs (especially chevrons), while heads of humans and animals are found around doorways and arches, and occasionally outside. And by the way – this post is a celebration of sorts: it’s the 400th post in Roaringwater Journal! Our first post ever was in October 2012. With a five month hiatus (in order to move countries) we’ve been blogging faithfully week after week ever since. Our practice is that we, Robert and Finola, publish one post each every Sunday (and update the Table of Contents on the Navigation Page as we go along). We love the way this lends a shape to our week; we love the research and the photography; we love your feedback, both here and on our Facebook Page. Thank you, our wonderful readers, for sticking with us. Long may it continue!